LiveMD would like to pay tribute to all of the doctor’s around the world who work hard to keep us healthy. Their jobs are hard and stressful and yet they continue on with the goal of helping others, while often putting themselves at risk. Today we will take a look at the top 5 reasons why being a doctor should be the next new sport in the Olympics! Being a doctor means always being on your toes and ready to deal with the next emergency that comes your way. No two patients are the same and no two diagnosis or treatment will be the same either. Doctor’s deal with urgent situations all the time where their speed of action and quick decision making could mean the difference between life or death. In order to become a doctor in the first place, you must undergo years of education and this training doesn’t stop on graduation day. A good doctor must be constantly studying and learning about new medical advancements and treatment options, just as a good athlete must be constantly training and conditioning to be the strongest and best in their sport. As with all good athletes, you have to bring your best performance to every game or competition if you want to win first place. It is much the same with doctors. You must always bring your best to every consultation, surgery or medical procedure to have the best possible outcome for your patient. To be a good doctor you have to work well on a team. By being able to work well with others a good doctor can collaborate with other healthcare professionals to ensure the best outcome for every patient! Being positive, cheery and always hopeful is the attitude that all doctors should have. Seeking out the best result for a patient and showing them compassion, understanding and positivity will make healing easier. Doctors never give up without a fight! Doctors dedicate their lives to helping others and for this we will always be extremely grateful. Thier selflessness will always be appreciated and to us at LiveMD, you all deserve a gold medal! Hosting the Olympics is a very big honor and today LiveMD looks at what it means for Brazil to be in the spotlight this year for the 2016 summer games. The Olympics first began in ancient times in Greece. They were originally held to honour the god Zeus but in more modern times are used to promote and encourage physical activity and as a friendly competition among nations where the best in each sport compete for the gold medal. The International Olympics Committee (or IOC) is the organization that is responsible for choosing the country that will host the Olympic games. Every country that is interested in hosting the games will make bids to this committee. The IOC then looks at whether the city is large enough to be able to house all of the competitors and tourists that will come for the games and whether there are enough stadiums and sports complexes for the events to be held in. The city in consideration must also prove that they have the funding available to pay for the expenses of the games and must have very positive media exposure. Once all of this criteria is met, a country is then selected. It is considered a great honour to be chosen as a host country for the Olympic Games. It allows this country the opportunity to be showcased around the world and to show others all of the unique traditions, customs, sites and landmarks that this country has to offer. There are also some economic benefits that hosting the games can offer as well. 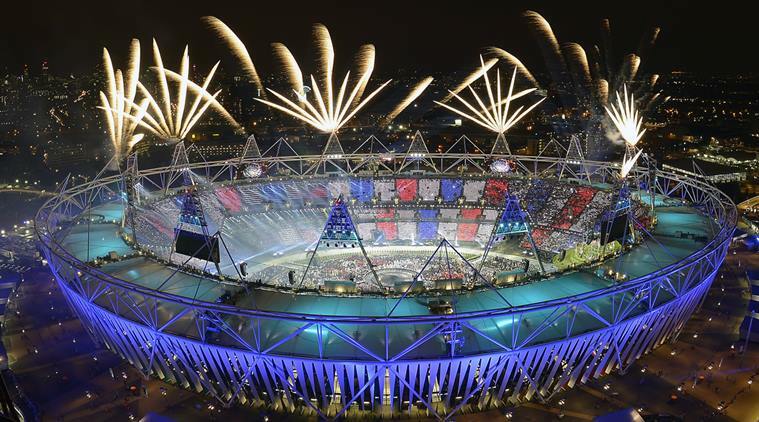 With the Olympic Games comes a surge of athletes, tourists and politicians from around the world. This increase in tourism means an increase in income for any business in this industry. Hotels, airlines, restaurants, shops, and attractions will all benefit from a great increase in profits and this increase will benefit all of the employees as well, assisting in raising the standard of living throughout the entire country. The Olympics generate a large amount of jobs and although these jobs are temporary, they still assist in generating income for the people of Brazil. Often times construction workers are in high demand in the years and months leading up to the games. New hotels and housing complexes are needed as are stadiums and sports fields. There is also a high demand for security workers to help protect the athletes and bystanders and a demand for tour guides as well. It is conceivable that every industry will be affected and employment rates will experience a huge surge as workers are needed to meet the high demands of these games. The Olympics are broadcast around the world and people and businessmen from every country are in attendance at all of the games. This provides a great opportunity for small businesses to shine the spotlight on their innovative products and services in an attempt to gain the attention of worldly investors. It is an excellent chance to advertise and get noticed. 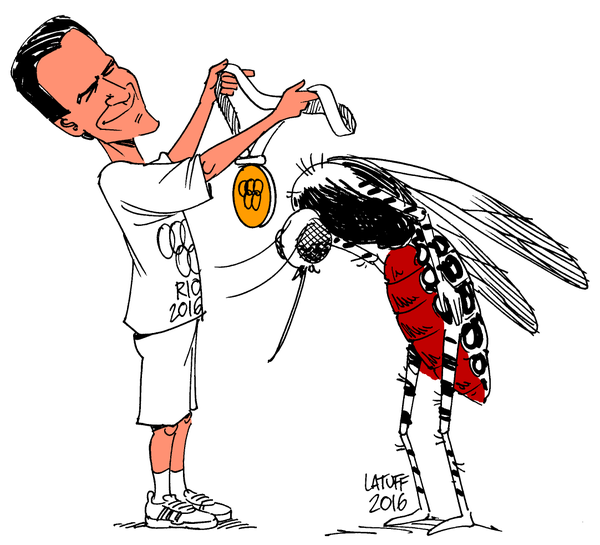 Congratulation Brazil on being given the honor to host this Summer’s Olympic Games. The benefits that this event will have for you are great and far reaching. Are you travelling this summer and in need of urgent medical care and advice? Often seeking care in a foreign country can be confusing and difficult. Let LiveMD help. Our team of doctors are specially trained to help you and are available right away. Visit www.mylivemd.com for more information. Sports are very important to the people and culture of Brazil. There are many sports that are enjoyed by people around the country but there is one much more popular than the rest. Here we will take a look at the most popular sport in Brazil and how it affects the health of those who play it. Also known as soccer, this sport is extremely popular among the people of Brazil. Their national men’s team is the only team that has ever qualified for every World Cup tournament and they have won the FIFA World Cup 5 times. Football is a way of life for most Brazilians and is taught at a very young age. Children can be seen playing it in the streets and many refer to Brazil as “o País do Futebol” or “the country of football”. Football can have some very positive health benefits for those who play the sport, either professionally or just for fun. This sport is is a high energy, cardiovascular activity that is good for the heart and it also helps to build and tone muscle. If played often enough it can help you stay in shape and manage your weight as well. Football is also a sport that keeps you agile. You must be able to think quickly and nimbly move in different directions, all while keeping your balance. Studies have also shown that there are many mental and emotional health benefits to playing football. It helps to keep your mind sharp by improving your cognitive skills and concentration. It also helps to improve self-esteem, confidence and decrease stress and anxiety levels. Due to the fact that this is a team sport, it also helps to build relationships, interpersonal skills and teaches lessons on sharing and being a team player. It is also important to keep in mind that there are some health risks that come along with this sport as well. Injuries are very common. Twisted ankles, injured knees and broken bones happen frequently. As do bumps, bruises and concussions. It is important to always wear the appropriate protective equipment when playing this, or any sport to ensure that injuries are kept to a minimum. LiveMD encourages you to stay active. If you have questions about which sports may be best for you, or whether you are in the right physical state to begin a new fitness routine, our doctors are available to offer their professional advice. We can also assist with any sports related injuries. Just visit our website at www.mylivemd.com today and get the answers you need right away. 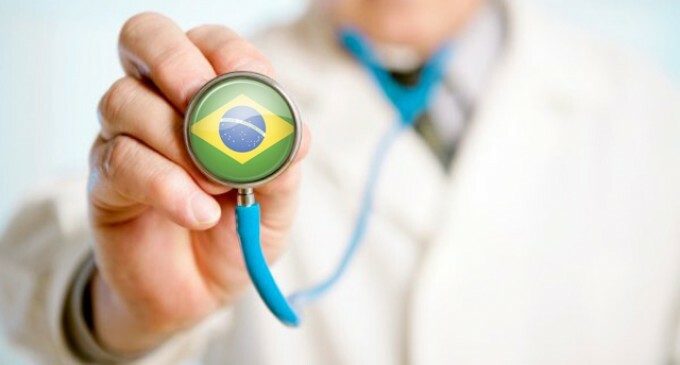 LiveMD gives you all of the details on Brazil’s changing healthcare system. Known as the Sistema Unico de Saude (or SUS), Brazil’s national healthcare system has undergone some major advancements over the past few decades. It’s primary aim is to provide health services to all of the people of Brazil and recognizes the importance of equality and “health for all”. Since the implementation of the publicly funded SUS system in 1990, Brazil has seen some major improvements to the health and wellbeing of its people. There has been a drastic decrease in the rate of infant and maternal mortality rates and the life expectancy has made a great jump to an average of 75 years of age. There is no charge for any treatment, including hospital stays, testing and emergency visits. There are still many problems with the state of the healthcare system in this country. People in more rural areas are still not adequately cared for. Many hospitals are overcrowded and wait times at clinics may be outrageously long, ever for those in need of urgent care. It can also take a very long time to see a specialist or have a simple procedure, such as an x-ray, done. Although the healthcare system has improved by leaps and bounds, it still has a far way to come, especially for those outside of the city limits. Many of the poorer population still slips through the cracks and does not receive the care that they deserve. Many of the more affluent Brazilians still chose to access private health care and are willing to pay the appropriate fees for doing so. Wait times for all treatment options are always shorter if you are paying for your care and many believe that the level of care received is much higher in this sector. How Can A Visitor to Brazil Receive Urgent Care? Anyone visiting the country of Brazil will be able to receive medical care when visiting an urgent care clinic or hospital, however in many cases there will be a fee charged for these services. It is highly recommended that you obtain traveller’s insurance prior to your trip to ensure that you are fully reimbursed for any of these claims. LiveMD is also available to help you, should you require urgent care while away on vacation. Our team of doctors, nurses and specialists can assist you with any questions that you may have about your health or the health of your family and can recommend the best course of action to take. Visit us at mylivemd,com today for more information on the services that we provide or to speak live with one of our healthcare professionals. 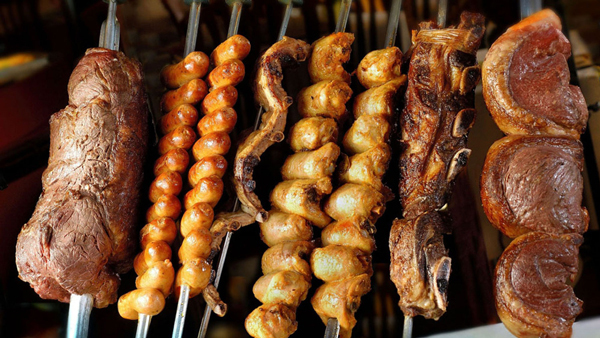 Brazil is a diverse country, filled with many different, exotic foods, some of which are healthy and some which are not. LiveMD provides you with information to make the most informed diet decisions when dining out in Brazil during the 2016 olympics. Brazil is a modernized country with many Americanized fast food chains. The addition of these high fat, fried foods to the Brazilian diet has contributed to the increase in obesity among the people of Brazil. Close to 50% of the population is considered overweight and of them, nearly 15% are obese. This issue is becoming an increasingly big problem in this country and can be largely blamed on the shift from a traditional diet to a more modernized one. Cassava – This root vegetable is a main source of carbohydrates and is considered a staple food for many people in this country and around the world. It is able to grow in very dry regions, where rainfall is scarce. It is also very high in many nutrients such as calcium, phosphorus and vitamin C. Brazil is the 4th largest producer of cassava in the world. Guarana – This plant is very common in Brazil and is known for the large seeds that are found in the plant’s fruits. These seeds contain a very high amount of caffeine, comparable to the coffee bean, and has traditionally been used in herbal teas. In more recent times the guarana seed’s stimulant properties have been used commercially in soft drinks and energy drinks. Acai – Acai belongs to the palm family and is best known for the fruits that these trees produce. Small, dark berries that are anywhere from black to purplish in colour and are similar to a grape in appearance, grow in large bunches on the tree and are harvested twice every year. These fruits were once a major staple of the Brazilian diet, making up close to 42% of the people’s main food intake due to their high caloric and fat contents. These berries are also extremely high in nutrients such as fibre, antioxidants, iron and other vitamins and minerals. Tucupi – This specialty is a sauce that is common in traditional Brazilian cuisine and is made by extracting the liquid from wild cassava plants. These plants produce a juice that is very poisonous and must be boiled for several hours to eliminate the poison. Once prepared, it is often served over poultry, like duck, or with rice. It can cause a numbing or tingling sensation to occur in the mouth. Rice and Beans – These two items are considered the main staples of a Brazilian diet and have been so for many years. Brazil is a major producer, importer and exporter of rice and this food can be seen, cooked in numerous different ways, in most Brazilian dishes. Beans are also a staple food and have been a primary source of protein for most of the country’s inhabitants but especially those who are unable to afford more expensive meat products. On your journey to Brazil this year, LiveMD would like to encourage you to sample all of the local fares. Broadening your taste buds and experimenting with new flavours is a great way to add variety to your diet. Bon Appetit! If you have questions about your health and nutrition, LiveMD is available to help. Please visit our website today at www.mylivemd.com for a full list of all of our services. 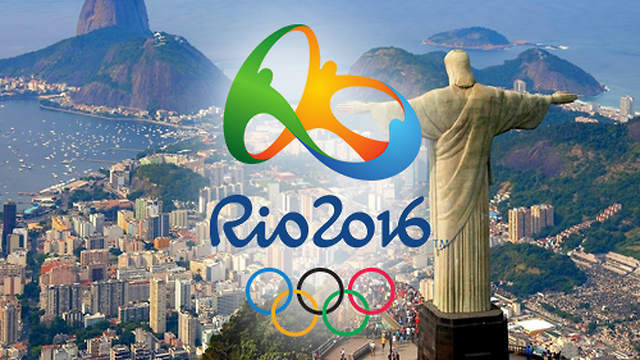 August 5th will mark the beginning of the summer Olympics, hosted this year by Brazil. LiveMD wants to provide you with all of the important information that you need to know if you are planning on travelling to Brazil to watch or participate in this year’s summer games. Beware the Zika Virus – The Zika virus is present in Brazil and so caution should be taken when visiting this country. It is advised that pregnant women, or those planning on getting pregnant in the near future, postpone any trips to this area. It is also advised to wear long clothing, ample bug and mosquito repellant and to avoid areas where the virus is known to be present. Drinking Water Precautions – Although many sources of water in Brazil may be safe to drink, it is still advised that all visitors to the region stick to bottled water to avoid contamination. Cholera (also known as traveler’s diarrhea) is quite common and can make a person very sick. To avoid this, stick to boiled or bottled water, avoid ice in your drinks and stay away from fruit or veggies that may have been washed in contaminated water. Stay Safe – Brazil is a beautiful country with many wonderful sites to see and nice people to meet but it does have a relatively high crime rate and it is important to protect yourself when travelling there. Make sure that you stick to well known, tourist areas and don’t venture into areas that you are not familiar with. During the olympics there will be a high police presence but that doesn’t mean that crime can’t and won’t happen. Be aware of pick-pockets and keep all money and valuables safely tucked away. Get Vaccinated – Before travelling to this year’s summer olympics in Brazil, make sure that all of your standard vaccinations are up-to-date. By ensuring that your measles, mumps, rubella, tetanus and polio vaccines are current you will avoid contracting any of these diseases while away. It is also a good idea to protect yourself against the current strain of the flu and get this year’s flu shot. Since the risk of contracting hepatitis A and typhoid through contaminated water sources is high in Brazil, it is recommended to obtain these shots before travel as well. Be careful with the Animals – Brazil is an exotic, tropical country with many animals that may be unfamiliar to you. Many of these animals may be vicious or have a poisonous bite. Talk to the staff at your hotel to find out what animals or insects may be present near your location and find out if they are known to bite or sting and what kind of first aid treatment is necessary in an emergency situation. When travelling it can be difficult to obtain the proper medical care needed in any situation. LiveMD has a staff of trained healthcare professionals on duty, ready to help you with any medical need. If you are travelling and require the care of a physician, look no further than your computer or cell phone. We can assist you without the hassle of having to find a local clinic with a doctor that speaks your language. Our staff of knowledgeable and qualified specialists are on hand from around the world and can speak to you in your native tongue. To schedule a live chat visit our website at www.mylivemd.com today.